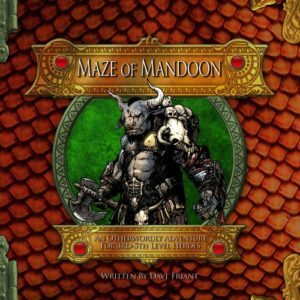 A resource for Dungeon Master and player alike. 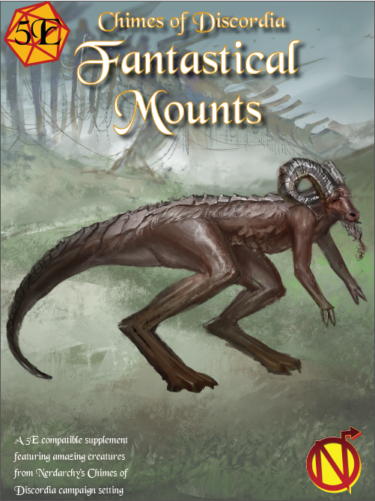 Nerdarchy introduces five new and unique mounts ready for your 5E game from our Chimes of Discordia campaign setting. 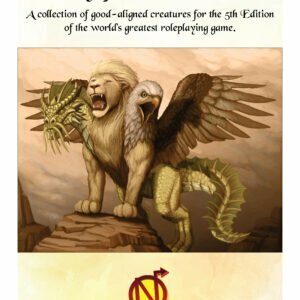 This digital book includes rules for these creatures with regards to trade goods, training, and adding flavor to your campaign world. There’s even multiple versions the different mounts we introduce. Perhaps you’ll even find your druids assuming the guise of a dranther or kangoram in your game. A Product for 5th Edition of the World’s Greatest Role-Playing Game. From a secret stronghold carefully concealed high in the mountains, the Order of the Wizened guard vast repositories of ancient knowledge. Cursed by Baphomet for stubborn refusal of its gifts the oreamnos, or goat folk, now act as guardians against the Horned King’s return to the world. These sentinels of civilization are ever watchful for agents of the Labyrinth, devotees of the demon lord ever plotting to reach the secluded stronghold and seize the knowledge within. Inside you’ll find new magic items, monsters and NPC allies from the Order of the Wizened, an adventure that draws heroes into a deadly maze, a new playable race and background, and details on the demonic cult of the Labyrinth. Horris the Horned Lord is an encounter for 4-6 adventurers of 5th-8th level for the world’s most popular role-playing game. Perfect for Game Masters that need a single encounter or to fill in for a night of gaming. 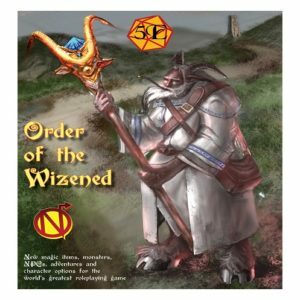 There is opportunity for social and combat encounters during a jaunt to a wizards tower on the way to or from a small town. 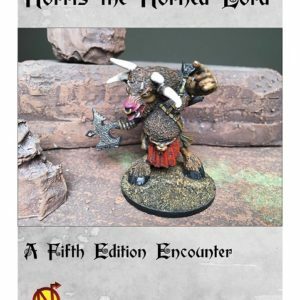 Horris the Horned includes four new creatures: the spelleater and greater spelleater minotaur, elite bugbear of the horned king, and bugbear witchdoctor of the horned king. There is also a map of the wizard’s tower. You can never have too many monsters for you 5th Edition game. That is why we created Bestiary of Benevolent Monsters. We wanted to fill a niche within the game that is being under served. To that end we set out to construct new and interesting monsters of a good persuasion. Maybe you need to adjust the attitude of some murder hobos. You could be running an evil campaign. Perhaps you’d like to set up an epic misunderstanding between the player characters and entities that are champions of good. 30 pages of monsters. 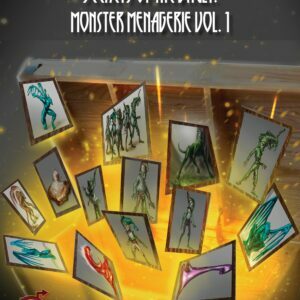 Generic uses for any good monsters for your 5th Edition campaign as well as specific uses for the monsters contained within these pages. Each monster entry includes DCs for lore checks and what proficiency to use. And of course stat blocks for each new monster. In this RPG adaptation of “The Grinch Who Stole Christmas”, a band of adventurer’s will investigate clues to lead them to the Krinch, a diabolical goblin who stole all of the gifts, decorations, and feasting foods from the citizens of Gryphongaff for the upcoming winter solstice holiday of Father Winter’s Day and perhaps learn the true meaning of the holiday. A 5th edition Dungeons and Dragons adventure for 4-6 characters of 3rd-5th level. What will your brave adventures do once they found themselves swept up in the aftermath of a Chaos Storm? Few ever enter the maze and fewer still ever exit it. Who created it and why? Will they try to unravel these mysteries or just struggle to survive? A Horrific Adventure for a Party of four to six characters of 4th-6th Level. The once cheery rustic village of Stilt has fallen into a pall of gloom and only a brave band of adventurers can try to set things right, though they might find not all horrors can be undone. The players will battle the mad forces of the Cult of Byatis and be confronted by a horrible plague. They themselves may be corrupted with it! Of course 5e is our favorite thing to talk about over on the Nerdarchy YouTube Channel. We’ve created monsters in both our Terrible Terrain series as well as our Fast and Dirty Monsters series. It’s finally time for these start existing not only in our demented minds, but in the works we create as well. Simple — Game Masters can never have enough creepy critters to put into their games. Nerdarchy is here to help. This collection of monsters is inspired by our videos and our own games. Within these pages you’ll find new monsters along with the lore and tactics to use these new monsters in your 5th Edition games. Plus new rules for intoxication from the booze ooze entry, a new ritual spell to summon the moss hound, rules for breaking in your abizder mount and the goods they can provide, and more. 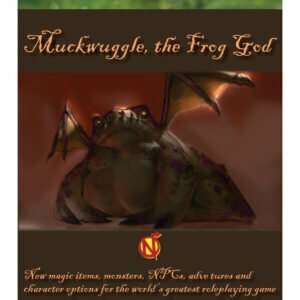 Muckwuggle the Frog God was spawned from a Nerdarchy video like many of our products. We take inspiration from amphibians and unleash the dread cult of the Frog Gods upon the world. Whether you need an adventure for the evening or to spark the seeds of a whole campaign look no further. The Frog God Patheon and the myth of the Toad Father will keep your players hopping.. 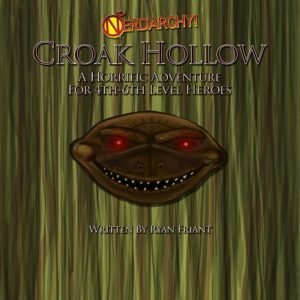 Within these pages you’ll find new monsters, NPCs, Lore of the Frog God Patheon, traps, adventure hooks, and magic-items.